Born and educated in Guernsey, Liam learnt his trade as an apprentice plumber at the PEH Hospital as a member of the PEH estates team. Liam then went on to work for domestic and commercial companies, again working at the PEH site as a mechanical engineer on the Phase 5 project. Prior to starting at C8 he was the lead foreman for a local FM company working on a variety of projects from Schools to Care homes. 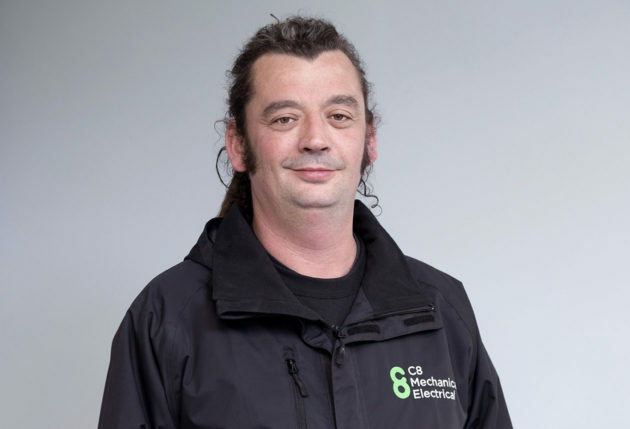 Liam’s knowledge of 20 years installing systems both commercial and domestic are invaluable to C8. His supervisory and contract management role ensures projects are on time and within budget.